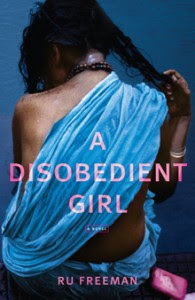 Ru Freeman’s A Disobedient Girl is set in Sri Lanka and is narrated by two women, Latha and Biso, in alternating chapters. Each of these women struggles with their station in society, the desires they have to improve their lot in life, and the journey they find themselves on after making pivotal decisions. Readers also catch a glimpse of Thara and Leela’s lives and struggles. Sri Lanka is in the midst of civil unrest when we meet Biso for the first time, but when we meet Latha, she is in the prime of innocence. Biso has lived a hard life, though she is not jaded by the loss of her greatest love or the abuse of her husband. Latha, on the other hand, is resentful of her station as a servant girl in a high-class home and straddles precariously between the world of a upper class girl, like her mistress’ daughter Thara, and that of a servant. Class struggles, political unrest, and danger permeate the pages of A Disobedient Girl. 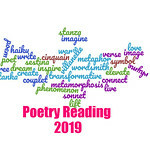 The narration begins slowly and builds to a crescendo, though readers may have a tough time with the broken and interrupted thoughts because it can detract from the atmosphere that Freeman attempts to create. Latha’s chapters reflect her naivete and her impulsive nature, while Biso’s chapters reflect a mature woman who is methodical in her actions and chastises herself for self-indulgence when she must care for three children. However, Freeman has a gift for dramatic language and situations, illustrating how each woman faces tragedy and overcomes the suppression they feel because of their caste and decisions. A Disobedient Girl is not about a specific girl or woman, but about the rebellious part of human nature that desires to be free and in control of its own destiny. Here’s a list of the other TLC Tour stops and a photo gallery of Sri Lanka. Please also check out Ru Freeman’s blog and this Amazon.com video with Ru Freeman. I also have a guest post over at Ru’s blog. Check out my post on writing and photography.